Berat is the most interesting tourist attraction I have visited in Albania: a lovely castle perched on top of a hill, overlooking a well-preserved medieval town. It can be visited as a day-trip from Tirana, no need to sleep there. 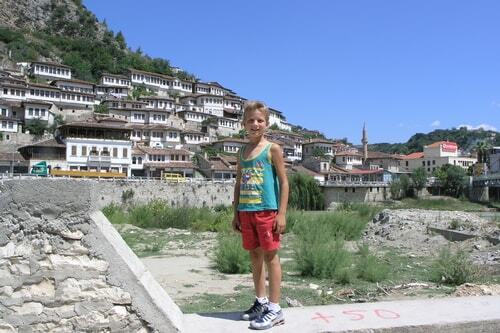 The Berat Castle is a fortress overlooking the town of Berat. 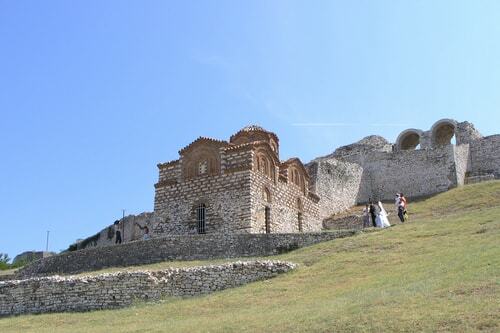 It contains many Byzantine churches from the 13th century and Ottoman mosques. Within its walls are the Red Mosque and the Onufri National Museum.